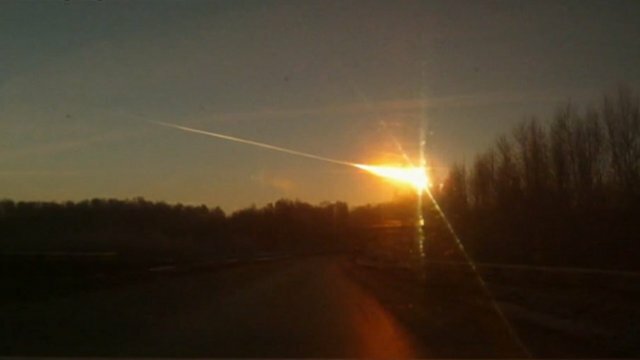 The smoking object that streaked across Russia's sky yesterday morning (nighttime for the U.S.), has been confirmed by Russian scientists as a meteor. The space rock was estimated to have been 150ft long, weighing 10 tons, entered the Earth's atmosphere at 33,000mph, creating a sonic boom. It broke in to pieces falling over the Urals city of Chelyabinsk where it unfortunately injured hundreds of people due to the shattering of windows and debris that was produced. 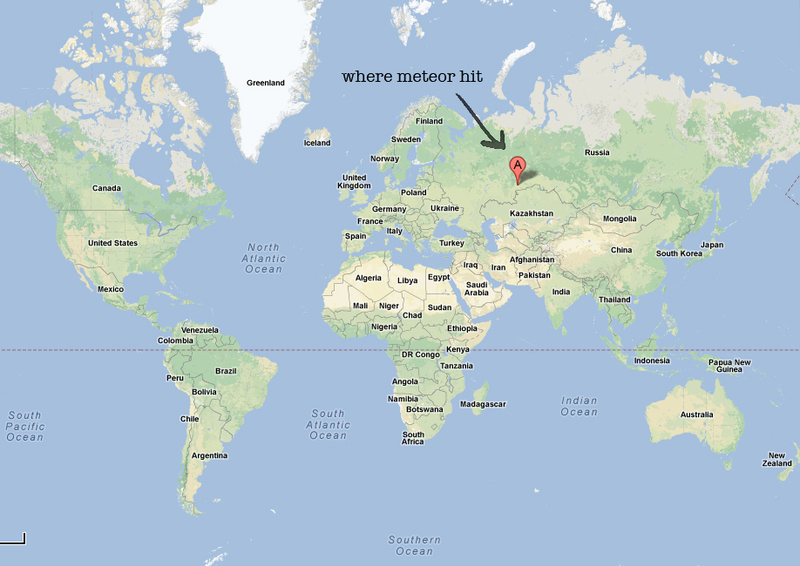 No deaths have been reported yet, but 110 victims remain in the hospital with serious head wounds. 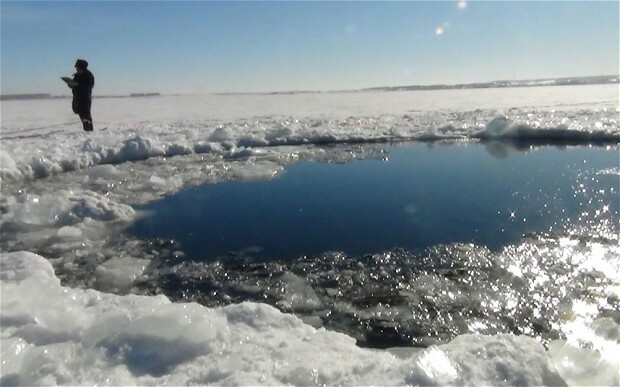 A giant chunk of the meteorite impacted a frozen lake outside the town of Chebakul, leaving an eighteen foot wide hole in the ice. 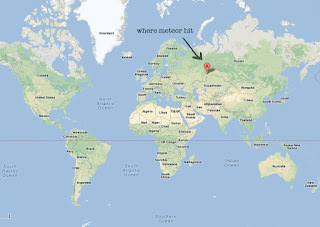 U.K. news paper The Telegraph has published some witness's descriptions of what they saw, felt and heard, the moment the meteor flew by.